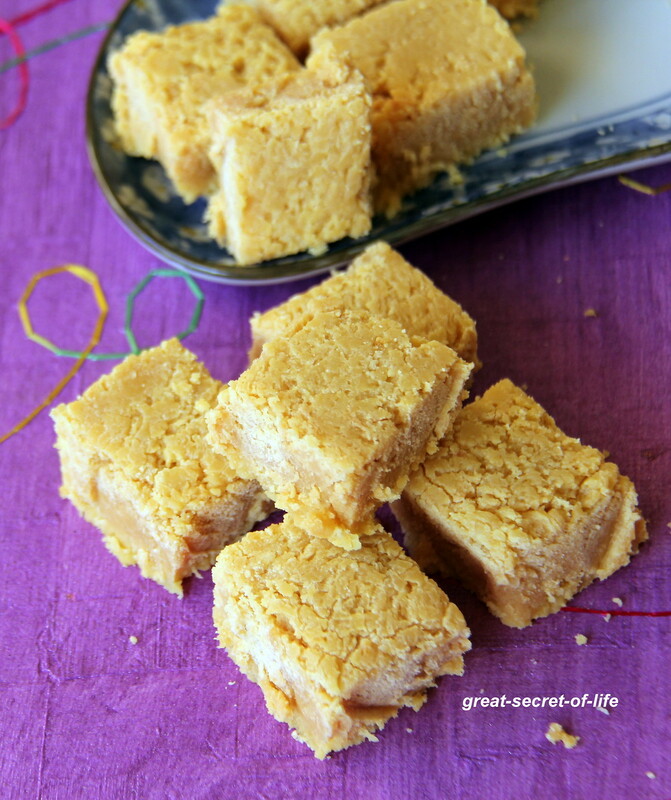 My 1st son loves Mysore pak. In fact that is only Indian sweet he likes. 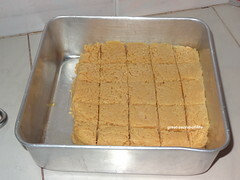 Some time ago I had this sweet at my friends house. And I was pretty confident my son would love it. But I kept postponing making it for one reason or other. Finally I got to it this time. 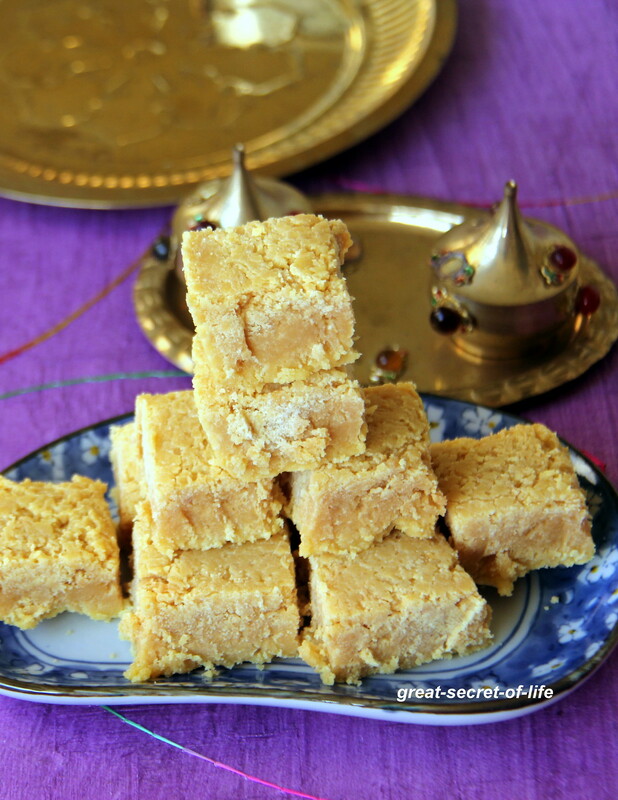 This is simpler than Mysore pak and tasty too (of course less ghee than Mysore pak). Got the measurement from her. However I made some adjustment according to our family taste. 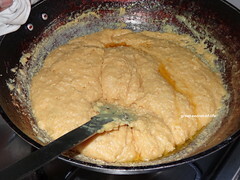 Mix all the ingredients except 2 tablespoon of ghee in the heavy bottom vessel. 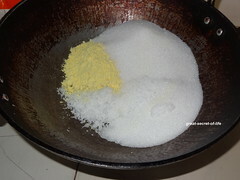 Mix well without lumps. 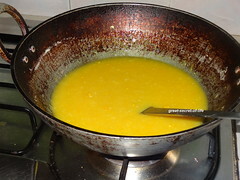 Now cook the mixture in low flame. 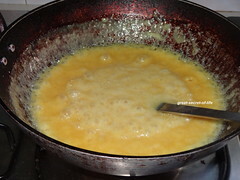 Stage 1 you will start to see some bubbles (for me it took ~4 mins) and it will start thicken. 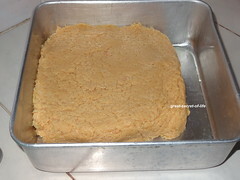 Next stage you will start to see porous texture. 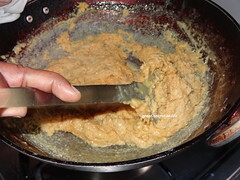 Now add the reserved 2 tablespoon of ghee. Mix well. 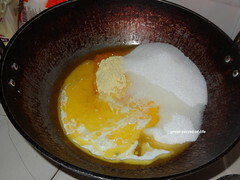 Now the mixture will come together and leaves the side. 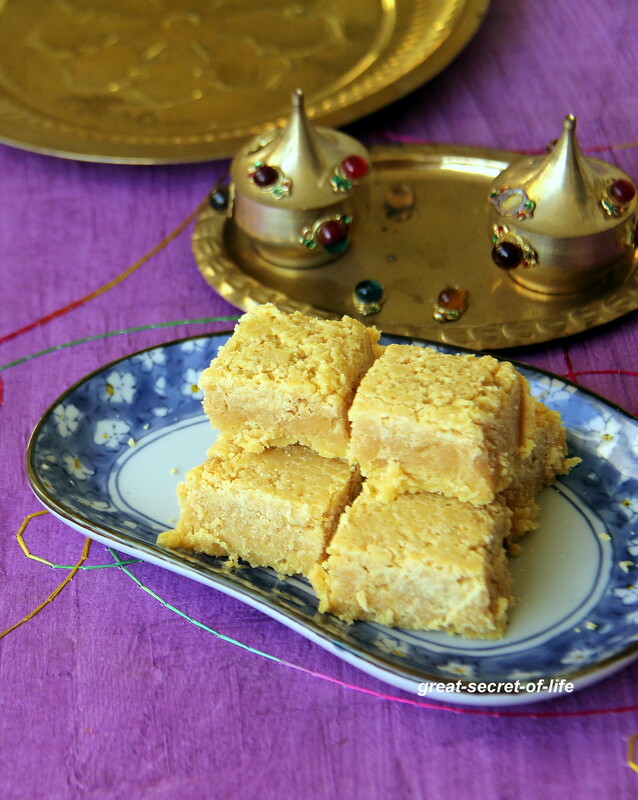 Easy to make and yet very delicious sweet..
Ages I had this sweet..looks fabulous..